Here’s a common scenario that many of us find ourselves in from time to time. Here’s the scene: It’s a beautiful day outside, you have the day off work and feel like you just flat out want to get some stuff done around the house. You look around to find what the house needs first, then you’ll tackle that. After looking around for a minute you realize what it is you need to do. Spring cleaning time! You have junk and clutter in your home that you want out. You are ready and motivated to clean it up and clear out the junk. Now the question is… How? 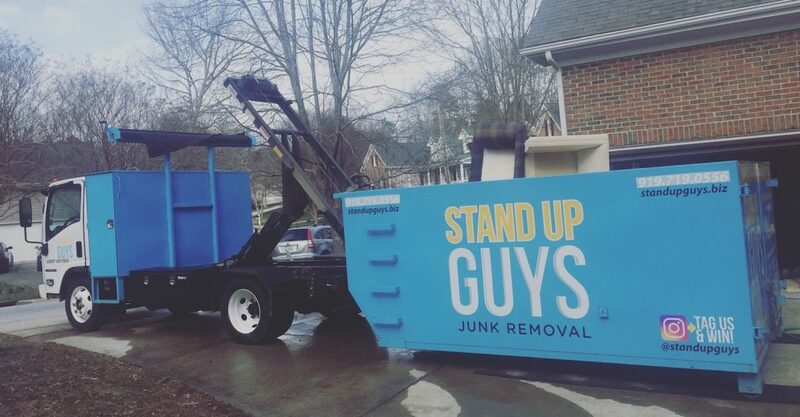 If you live in the East Nashville area, the question of ‘How‘ to get rid of your junk and clutter is easier than ever. The Junk Bucket Dumpster! 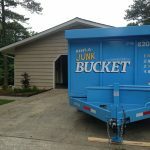 The Junk Bucket is becoming the most popular way for East Nashvillians to get rid of clutter from their homes. Once their is a big, blue, beautiful Junk Bucket Dumpster sitting outside your front door, all you have to do is roll up your sleeves and start cleaning and clearing. Everything and anything you want out from the house can be tossed into the Junk Bucket. Once it leaves your hands and hits the dumpster, you never have to deal with it again. What an amazing feeling! 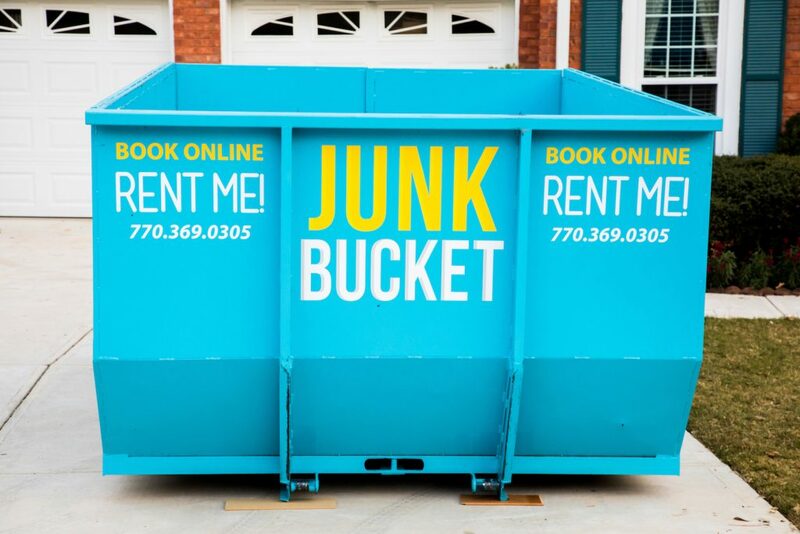 You can get dumpster rentals from anywhere, so what makes the Junk Bucket so special? 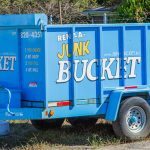 East Nashville has fallen in love with the Junk Bucket for a few reasons. One is the fact that our Junk Bucket Dumpsters are beautifully designed. They look great sitting on your driveway or street. So great that your neighbors will actually be jealous. Everyone likes when they are the envy of the ‘hood! Another reason people have fallen in love, communication. We are here ready to answer the phone, or come to you at any moment. You never have to worry about getting in touch with us here at Junk Bucket. Our customers are our top priority! 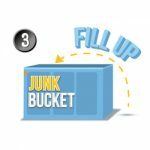 Ordering a Junk Bucket in East Nashville is simple! 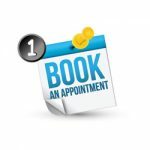 We make the entire process customer friendly. This way once you have made the decision to get rid of the clutter, the rest is simple. All you have to do is pick up the phone and give us a holler at 615-647-0634. 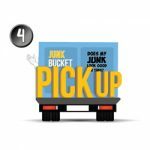 Let us know WHEN and WHERE you want your Junk Bucket and that’s it. We will take care of the rest. 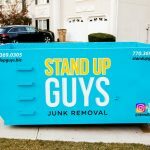 On the day that you requested, our uniformed Stand Up Guy Professionals will be over to deliver your own personal Junk Bucket. We will put it wherever you like and let you take care of the rest. Fill it up at YOUR pace. You can rush or take your time. Whatever fits your lifestyle the best. Once you have that bad boy filled, pick the phone back up and let us know. 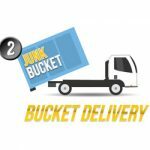 We’ll be out right away to pick up the Bucket and drive away into the sunset with all your junk and clutter gone forever!